It provides a unique set of challenges that aren’t as frequently discussed in the SEO community as they should be. 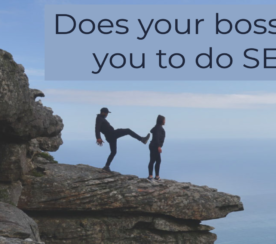 For example, you might be the best in the world in terms of identifying and debugging SEO issues, but unless you know how to work with internal teams, develop business cases, communicate with clarity, and really sell the value of your channel, you will struggle to get anything done at all. Developing a proposal to secure budget or resource for an SEO initiative. Here are 10 tips that will make building SEO business cases a lot easier. I can imagine this point is going to be controversial because few (if any) of us in the SEO industry truly enjoy forecasting session growth. There are so many variables we have no control over. That can make the forecasting process extremely uncomfortable. Notwithstanding this, I like to think of forecasting for SEO as a necessary evil, particularly if you work in-house and want to get things done. My approach is to avoid developing a percentage growth forecast for every individual SEO initiative or technical fix. Instead, build out a longer-term forecast for a 12-18 month period that you can then refer to in all your business cases moving forward. The reason for this is to encourage stakeholders to look at the bigger picture and move away from the idea that you can accurately and confidently report the impact of individual technical optimizations in isolation. 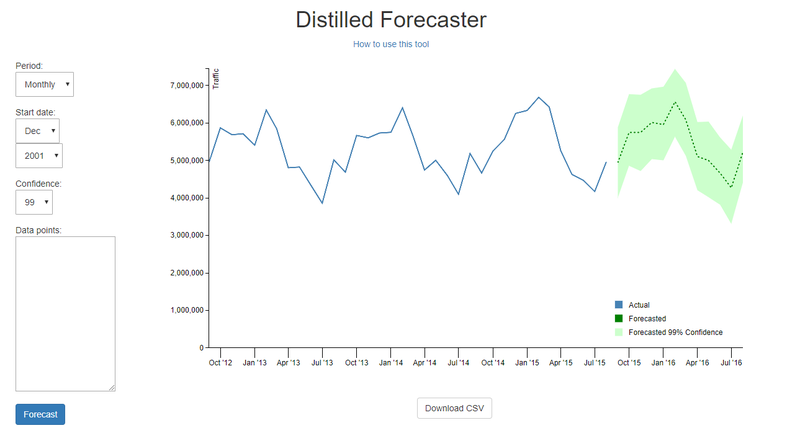 There are lots of good resources out there around forecasting for SEO – Distilled, for example, has a great resource and tool for statistical forecasting. When I make a proposal, I’ll always try and fit it into the context of these three trend lines. If you can fit this session growth forecast alongside a commercial one (remembering this doesn’t just mean driving sales, but can also factor in reducing Google Ads spend), it will make your argument even more compelling. I find great comfort in routine and process, so it should come as no surprise that I strongly advocate developing a structured approach for SEO business cases. Well-structured business cases will allow you to focus on what really matters, without getting stuck in the weeds. Problem: A simple problem statement identifying the issue you’re trying to fix, or the opportunity you’ve spotted. Hypothesis: A summary of why this problem is happening. Suggested Fix: An approach you’d like to take to address the issue in the problem statement. Anticipated Outcome: The result you expect the suggested fix to have (tip: make this about revenue). Generally speaking, if you are an in-house resource, people trust that you are the expert. They don’t want to have their hand held through the intricacies of a proposal. Another reason this approach is useful is if you are working with project managers. A structure like the one proposed above helps frame a proposal as a user or feature story – and this is a language or framework that PMs understand. It can really help to get your tasks prioritized within all the other initiatives they are likely being asked to juggle. When you’re pulling together your SEO business case, you need to focus on the metrics that matter. Like it or not, these metrics are almost always going to be around revenue or anything else that affects the bottom line. 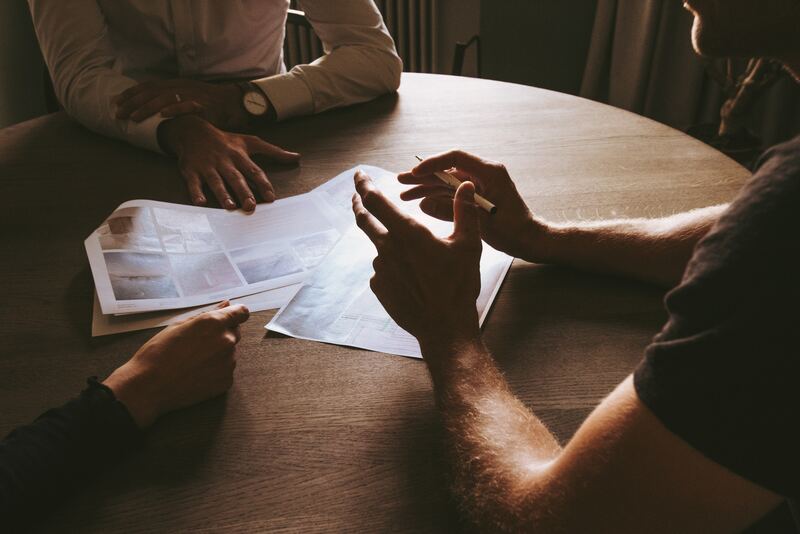 Let’s say you’re making a business case for the implementation of schema and you need to secure development time, or budget to work with a development partner. When you put forward your proposal to the decision maker, don’t focus on the merits of JSON-LD vs. Microdata or all the great research you’ve done into schema. You might find that interesting, but it really has little bearing on their decision. Instead, focus on the outcome. Use the data at your disposal (historical and current) around conversion rate, margin, average order value, lifetime value, MCF (Multi-Channel Funnel) attribution, and whatever else is relevant to your organization to form a compelling argument. Why do you want to improve crawl efficiency? To make it easier for Google to crawl and index your website. Why do you want the site to be easier for Google to crawl? To give important pages a better chance of ranking. Why do you want to give those pages a better chance of ranking? To get more organic traffic into the site. Why do you want more organic traffic coming in? To generate more revenue. In essence, it’s the job of your proposal to connect the dots between the first question above and the final answer with a compelling, but lightweight narrative. Do that, and you’re giving yourself the best chance of getting the buy-in you need. This is pretty self-explanatory, but knowing your audience and using the right language to address them is a point worth reinforcing. If you’re reporting to the C-Suite, a UX team, PMs (or pretty much any non-SEO people), don’t waste their time with technical jargon. If you’re speaking to a development lead, don’t waste their time with marketing jargon (and as I’ll mention in point 6, don’t expect them to understand your tech SEO terminology just because they work in development). Focus on the “need-to-know” without the waffle – and you will increase the number of your SEO business cases that get actioned. Know who you need to get buy-in from for your proposal and tailor it to them using the language that they are going to respond to. It’s always useful to reference direct competitors as use cases in an SEO proposal. This helps add weight to what you’re saying and can also help contextualize the points you’re making to an audience that is unlikely to be as familiar with SEO as you are. Even if the reference is a simple screenshot and a visualization of how a particular SEO fix is helping the competitor outperform you, it can add real weight to your argument. One caveat: what works for huge sites or brands might not always work for you. Take Amazon for example. There are lots of things they do that a smaller ecommerce site might not be able to get away with. Try and avoid this by focusing on more realistic SERP competitors and encouraging key stakeholders not to obsess over every small change that a competitor might make. Working with developers is essential as an in-house SEO, as you might not necessarily be responsible for implementation. Historically, the relationship between SEOs and developers hasn’t always been the best, but there are four things I always try and do to keep them on my side. The language of a development lead is different from that of a CMO. Unless you adapt how you speak to them, you’ll quickly lose their interest. The languages they code in. The internal struggles they face. The KPIs they are judged against. Then, adjust your proposal accordingly. It will make your case a lot more relatable and will help them understand the value. This can be tricky as nobody wants to come across as patronizing, but never assume (no matter how technical they are) that a developer knows SEO. For example, if there’s an issue with your canonical tags, then a development team will be familiar with the element. But that doesn’t mean they understand how it can impact SEO performance. It’s always worth confirming what they do and don’t know to ensure they can see the value in your proposal. If your developers have contributed to an SEO initiative that has delivered some great results, don’t keep that to yourself. Share relevant successes with your developers and celebrate them. Next time you come knocking at the door with an ask, it will make them a lot more receptive to supporting you. Don’t assume your development team knows SEO. Spend time educating them about it. If someone outside the SEO team has a request for them that will negatively impact SEO performance, you increase the likelihood that they’ll raise it with you before you wake up to find a large portion of your site has dropped out of the index. Developers are proud of the cool products they build. SEO helps more people find these awesome products. Help them understand that, and they will be more likely to buy into your proposals. 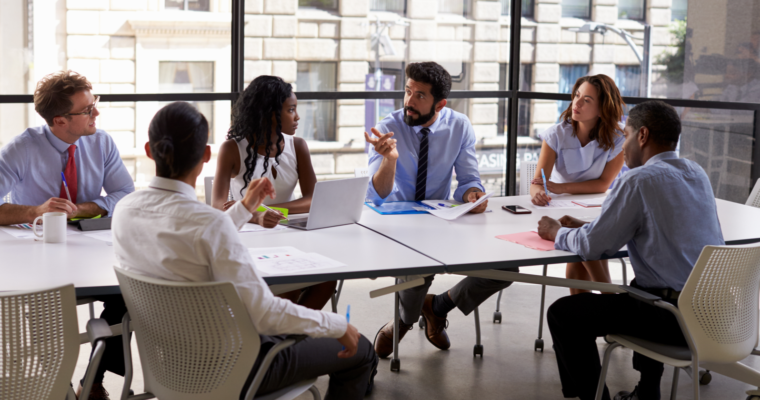 One useful tactic is aligning with other teams on a proposal, even if it’s an initiative that would traditionally be led by SEO. Strength in numbers can really add weight to your business case. Take an issue like site speed; we know it’s a ranking factor, so it makes sense for SEO to lead the push for making performance improvements to a website. This is something that can require significant development resource, so it needs to have a weighty proposal to secure that time. Instead of making this an “SEO proposal,” my approach would be to align with other performance marketing channels and anyone else relevant (e.g., UX teams, CRO teams, business intelligence teams), to highlight that improving site speed isn’t something that impacts SEO in isolation. This makes it a lot easier to show value, both in terms of traffic and revenue, making it much easier to get buy-in from the relevant stakeholders. Just because Google says something, it doesn’t make it true – particularly when it’s about SEO. However, adding a quote that Google’s John Mueller has made in a Webmaster Hangout, for example, or referencing official Google documentation, will carry significant weight with an audience that is less savvy in SEO. 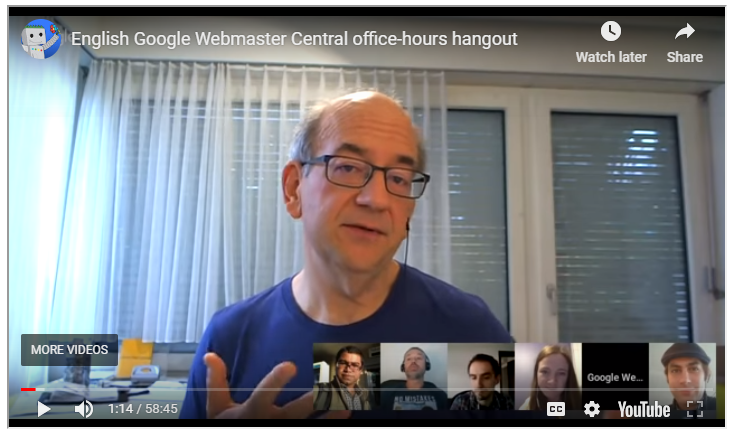 There are great resources out there to help you source these types of quotes, like the DeepCrawl Webmaster Hangout Notes, but Twitter and the Google Developers hub also help you quickly hunt down relevant information with their respective search functions. Another tactic that I find really useful for SEO proposals is to create a sense of immediacy. For every day that goes by without them making this change, they are losing money or falling further behind a competitor in the SERPs. Good data is a prerequisite for creating immediacy. But, again, you need to use your data to tell a concise and compelling story. Avoid going into great detail around why you think your initiative needs to happen. To retain this focus, think about how you can use your tracking platform to show the missed revenue opportunity over a set timeframe (weekly or monthly). If this is a proposal around trying to get you to rank better for a specific keyword or set of keywords, you can use any number of third-party tools to calculate assumed traffic your competitors are now receiving for those keywords, based on their ranking position. If you apply your own conversion and revenue metrics to that data, you can start to show the value of that keyword to your competitor. 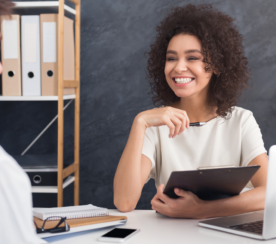 While it’s far from scientific, this can help put a revenue number to that “missed opportunity,” which creates the immediacy you are looking for. Ultimately, the best proposals are those where you make it difficult (or impossible) to say no. If you follow the steps I’ve outlined in this post, you’ll be able to do that. 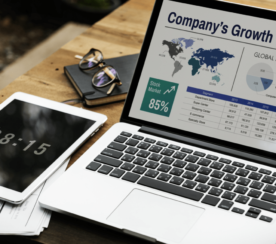 The strongest SEO business cases – those that have the greatest chance of success – clearly communicate value by telling a concise, data-driven story that focuses on the commercial benefits of your proposition.